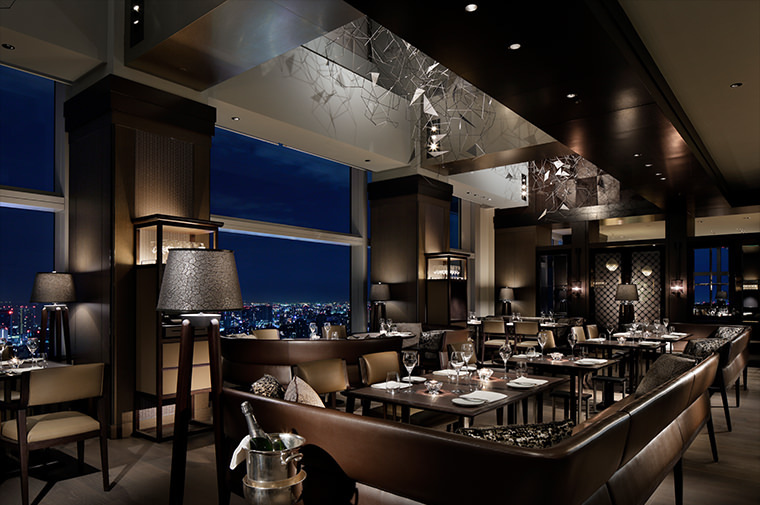 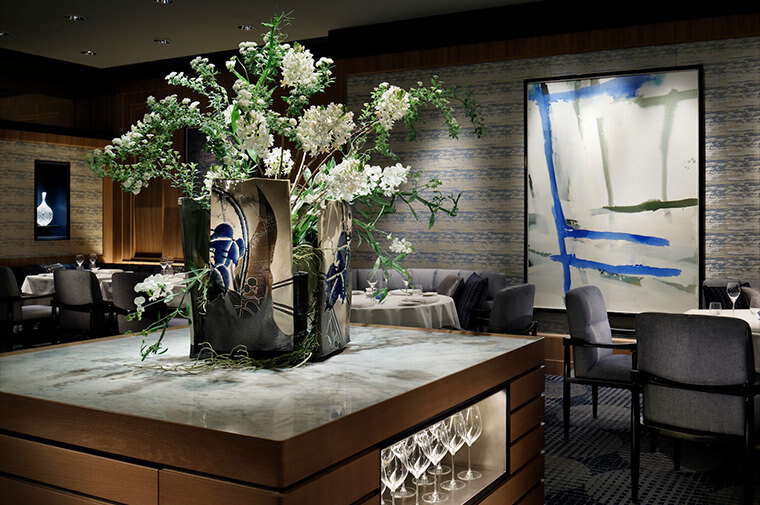 The Ritz Carlton Tokyo, celebrating its 10th anniversary, occasioned renovations under the direction of the design studio “SPIN” in 2014. 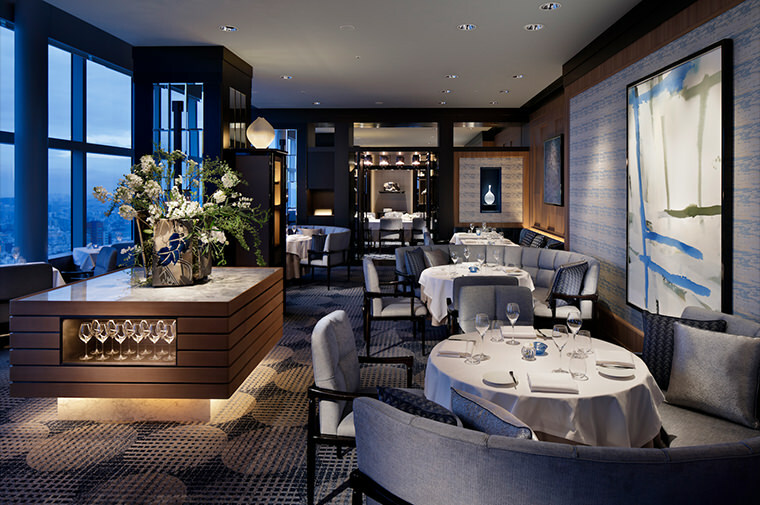 Among which were two dining spaces that underwent full renewals. 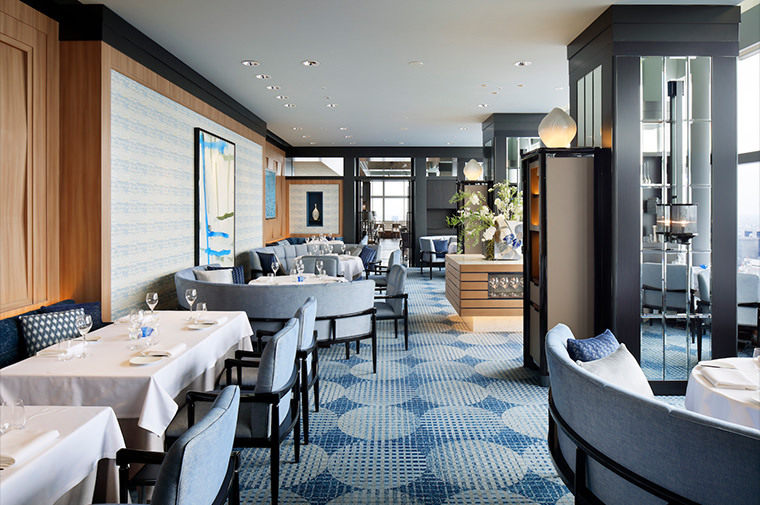 Embodying the French word, “AZURE”, the interior follows a central indigo, cerulean, grayish blue color scheme. 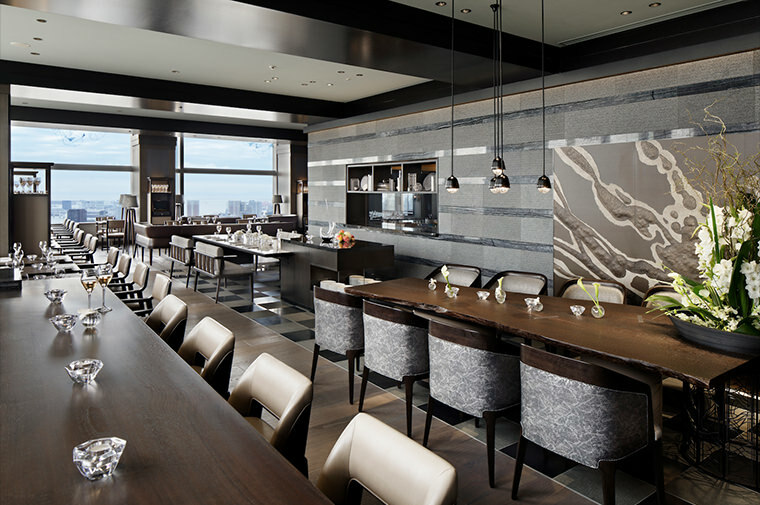 Haku material distinctive of Nishijin weaving gives off the peculiar brilliance of HOSOO textiles, creating an elegant space. 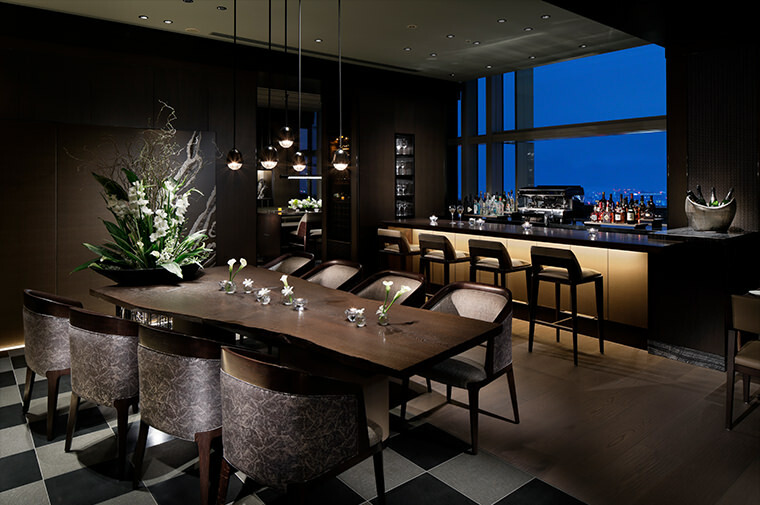 Contemplating the theme of sophisticated chicness and the modern metropolis through the keynote black color scheme, HOSOO designed textiles for dining chairs and lighting fixtures in this newly imagined space.